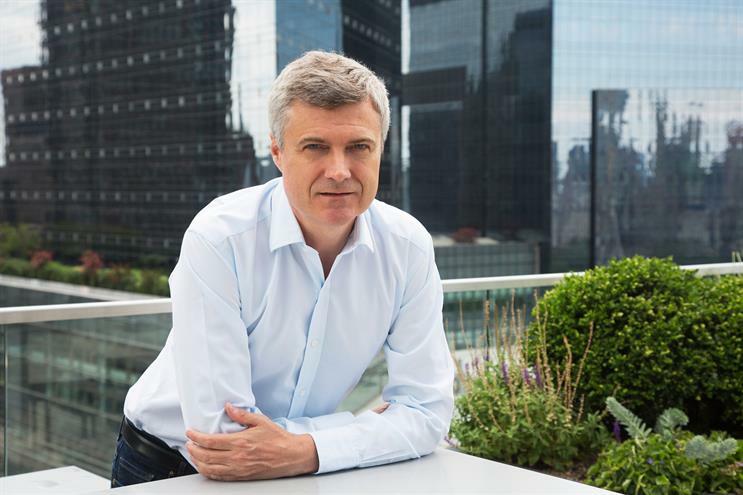 CEO says WPP is more client-centric and easier to manage, having merged agency brands in his first year in charge. WPP chief executive Mark Read has dismissed the idea of in-housing being a big part of the advertising company’s future, despite a greater demand from clients. Speaking to investors after this morning’s 2018 earnings report, Read revealed that up to 2,000 staff are "co-located" within client teams globally and that number could be set to grow. WPP has about 130,000 employees overall. Earlier today, it reported a 0.4% drop in net sales for 2018 and warned revenue would shrink by a greater degree this year. "While there is a greater demand from some clients to bring people closer, I don’t think that is at the heart of the economics for WPP," Read said. He added: "Clients underestimate in media, particularly in digital media, the challenges in recruiting, retaining and training people. 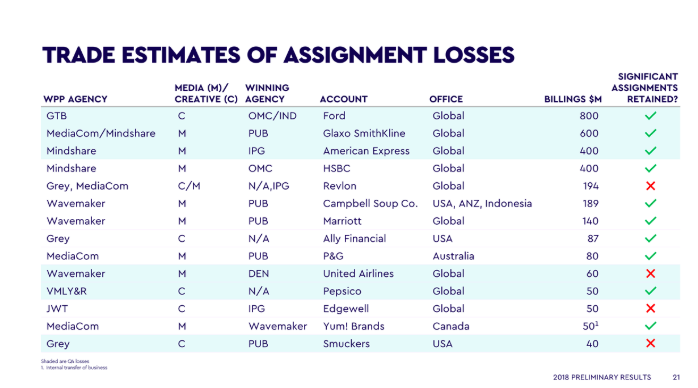 Maybe we would say that, but I think Group M [WPP’s media arm] does a fantastic job. "Essence buys the media for Google on Google. And when clients talk to me about why they would in-house, I say, actually, we are Google’s digital media planning and buying agency… There’s a lot that we can do with clients to address certain concepts around proximity while dealing with in-housing." Reflecting on 2018, the year in which he replaced Sir Martin Sorrell as WPP chief executive, Read insisted clients are responding well to the company’s new strategy of being a creative transformation company. Read said he has "made the business more client-centric and easier to manage", having merged agency brands to create VMLY&R and Wunderman Thompson. "We still believe in great brands like Ogilvy or Mindshare or MediaCom or VMLY&R or Wunderman Thompson… but maybe not as many as we had in the past," he said. WPP was particularly weak in North America last year and ended the year down by 4.2% year on year. The company’s most significant billings losses were from global accounts for Ford, GlaxoSmithKline, American Express and HSBC – which together totalled $2.2bn (£1.67bn). However, Read hailed "important client wins" such as Volkswagen in North America and South African wine maker Distell’s global business. Read singled out VMLY&R for particular praise after achieving "$25m worth of new-business wins" in its first 90 days. WPP merged VML and Y&R in September last year. He also pointed to the woes facing Kraft Heinz, the FMCG giant that posted a massive $12.6bn loss last week, as a cautionary tale for brands that do not invest in marketing. "If you don’t innovate and invest in brands, like any business you run out of road from a growth perspective. If you look at our packaged goods companies, those that have tackled their issues more aggressively and shifted their spending to growth are coming out of it more quickly and those that have tried to attack it just through cost reduction have found life harder. "Those clients realise that they need to invest in marketing support if they’re going to grow, particularly in the face of smaller, more nimble direct-to-consumer brands."